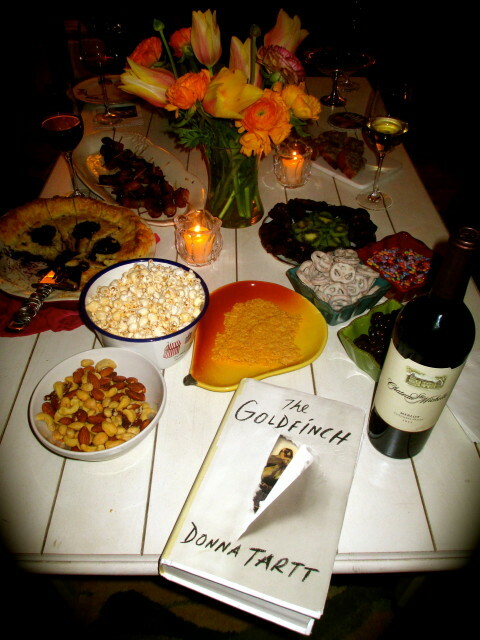 Our book club just finished reading and discussing our latest treasure, The Goldfinch, by Donna Tartt. I personally loved the book! Its beautiful prose is densely layered and overflowing with richly developed characters. I know that sounds like I just lifted that from the book jacket, but honestly it’s true! Some of our group felt it was a bit long and unrealistic, but we still had some very interesting conversations about depression and anxiety and Tart’s unique writing style. We even cast the characters for the movie! Who would you cast as Boris? 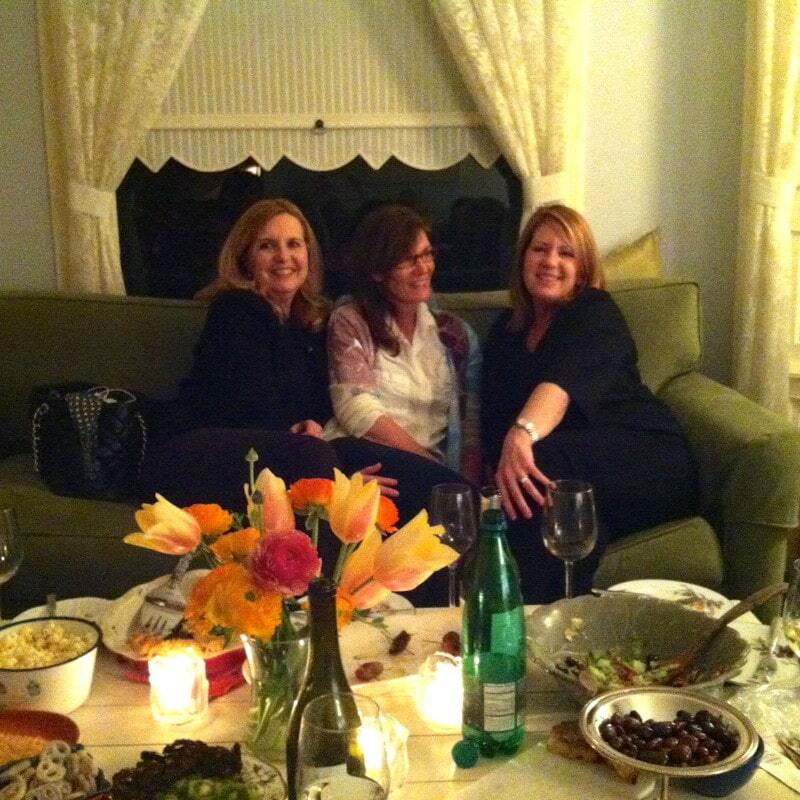 My friend, Cynthia said her book group loved it too and talked endlessly about those characters, as did we. It is those characters that drive the story and are the most fascinating part of the book. Be sure to give yourself plenty of time to read it, it’s 700 plus pages…and a few in our group were finishing it the day of our discussion! Below is a quick synopsis of the book, a great recipe (if you need to bring something to share) and some thought provoking discussion questions I came up with. Aged thirteen, Theo Decker, son of a devoted mother and a reckless, largely absent father, survives an accident that otherwise tears his life apart. Alone and rudderless in New York, he is taken in by the family of a wealthy friend. He is tormented by an unbearable longing for his mother, and down the years clings to the thing that most reminds him of her: a small, strangely captivating painting that ultimately draws him into the criminal underworld. As he grows up, Theo learns to glide between the drawing rooms of the rich and the dusty antiques store where he works. He is alienated and in love – and his talisman, the painting, places him at the centre of a narrowing, ever more dangerous circle. The Goldfinch is a haunted odyssey through present-day America and a drama of enthralling power. Combining unforgettably vivid characters and thrilling suspense, it is a beautiful, addictive triumph – a sweeping story of loss and obsession, of survival and self-invention, of the deepest mysteries of love, identity and fate. 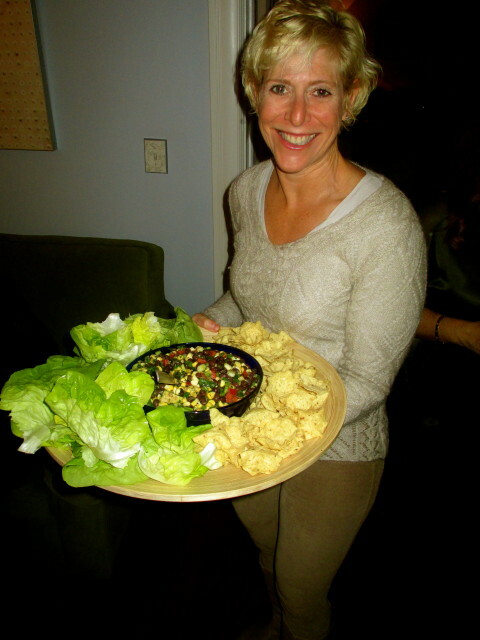 One of the highlights of book club is the delicious snacks everyone brings, here is Robin’s Cowboy Caviar, it’s so popular, it’s becoming a staple at all our gatherings! Combine all ingredients except lettuce and chips. Refrigerate, covered, for at lease 1 hour to allow the flavors to blend. Serve with lettuce cups and chips. 1. Talk about the fantastic personalities depicted in the pages detailed in Theo’s journey. It almost seems that the more minor the character, the more brilliant was the description. What is your favorite character and why? 2. Discuss how Theo’s character is reflected by the many personalities in the book. From the aristocratic Barbours, his slick gambler Dad, Theo’s beautiful and kind mother, and Pippa who was also victimized by the blast. 3. Did you feel that Theo’s self-conscious narration stretched out over too many pages, especially in the last chapter? Or was it a poetic grappling with the meaning of life? 4. Like the goldfinch in the painting, is Theo similarly chained to the memory of his mother that he lost on that disastrous day at the museum? What else is he chained to? 5. Theo believes that events follow a pattern, whereas his father, being a gambler, believes in luck. Discuss Theo’s inability to forgive himself for his mother’s death considering those beliefs. 6. Were there any characters that you especially related to and why? 7. Tartt has told interviewers that she will fuss over a single paragraph for days, or even weeks, perhaps contemplating the placement of a comma, do you feel the result is worthy of this attention? 8. Did you ever feel the novel was predictable only to be surprised my clever misdirects? Although it wandered, did you ever feel like she led you astray or did the author make you feel as if she was always in control? thanks for thi s post – I am hosting bookclub tomorrow and was looking on th e internet for Goldfinch discussion questions – I like yours. Serving NY deli foods, gin and tonics, and told everyone to come in their pajamas (i.e. : Mrs. Balfour). Also, I cast James Franco as Boris! Sounds absolutely perfect, let me know how it goes!!! Love that Cowboy Caviar–bookgroup at my house Thursday and discussing “The Goldfinch”. Great discussion questions. Thanks for sharing.